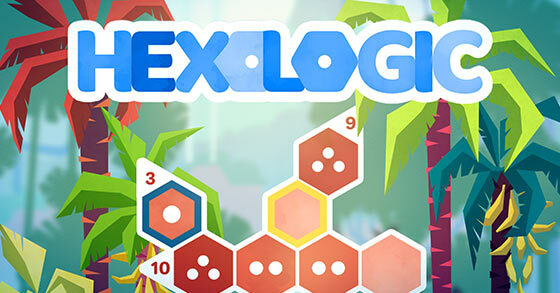 Hexologic is a logic-based puzzle game from Mythic Owl Games. Using hexagons, your wits, and a little head-nodding to the beat, you solve a series of logic puzzles to rise through the world. 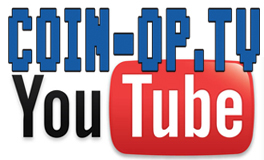 Let’s start with a little bit about me – I love logic-based puzzles. I have finished books of sudoku, kakuro, etc. because I enjoy watching a puzzle start from seeming chaos to completion. In Hexologic, you have hexagons you can fill in with one dot, two dots, or three dots. Each row must add up to the number listed using any variety of one dot, two dots, three dots. This is where the logic part sets in. For example, 3 hexagons with a “3” at the end means 3 one dots, whereas “8” would be a two-dot and 2 three dots, etc. There are 60 main puzzles with 15 bonus puzzles hidden in the world. The 60 main puzzles introduce new mechanisms every 15 levels, but you likely won’t be breaking your brain on those puzzles. The bonus puzzles are where you will find the challenge. There were a couple I honestly sat and scratched my head a bit, which felt awesome. And then it was over. I finished all 75 puzzles in 100 minutes or so. There is a level editor for those who purchase Hexologic on Steam and I’m hoping some crafty individuals or folks at Mythic Owl release some thinkers for me. The level editor in the Steam version does carry a premium of $2.99 as compared to the iOS and Android versions at 99 cents, but my hope is it’ll be worth it. Overall, Hexologic is a fun, albeit short distraction that I would recommend more on mobile than I would on Steam. I feel that the bite-sized gaming that is done on mobile is better suited for a game that you can savor longer. It’s worth it.